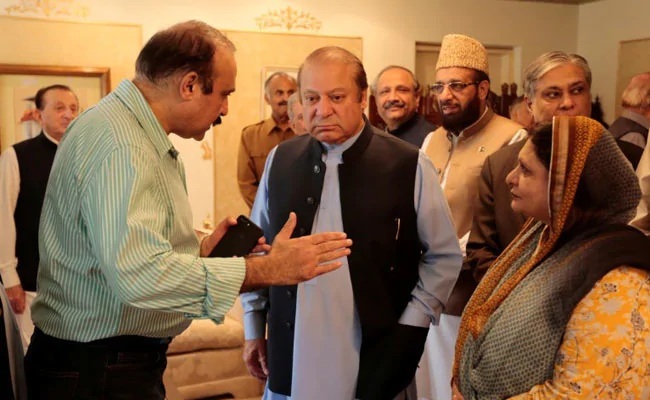 The Supreme Court on Monday accepted the petition filed by the National Accountability Bureau against the Islamabad High Court order suspending sentences of Nawaz Sharif and Maryam Nawaz in Avenfield reference. When the hearing resumed, Chief Justice Mian Saqib Nisar observed that the SC will deliberate upon the high court order and see whether it has affected the merit of the case or not. On Saturday, former prime minister and his daughter contended before the apex court that there was no evidence against them in the reference. They requested the SC to dismiss the NAB appeal. On November 6, a three-member bench of the apex court headed by Chief Justice Mian Saqib Nisar after hearing counsels for NAB and Sharif family directed them to submit their written propositions and adjourned the hearing until November 12. In September, a two-judge bench comprising Justice Athar Minallah and Justice Miangul Hassan Aurangzeb heard the petitions filed by former premier Nawaz Sharif, his daughter Maryam Nawaz and son-in-law Capt (R) Safdar challenging the Avenfield verdict against them. The bench suspended their sentences handed by accountability court judge Muhammad Bashir on July 6. Nawaz, Maryam and Capt (R) Safdar were sentenced to 11 years, eight years and one year respectively in prison in the Avenfield properties reference.